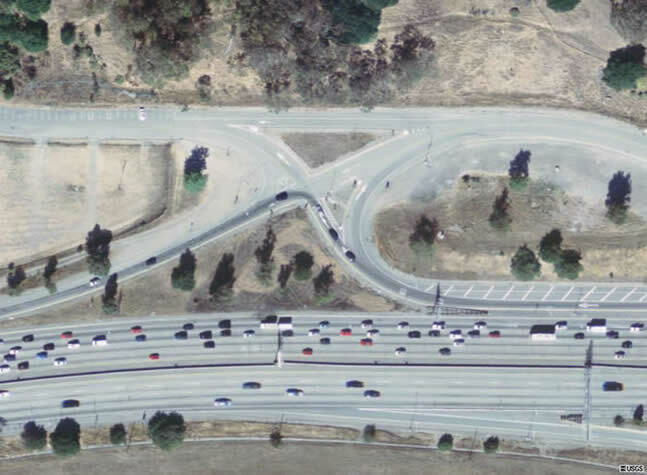 A satellite photo of the site shows the Northern side of the interchange with highway on/off ramps. The image also shows the few trees on the site. This image was obtained from the USGS terraserver site time stamped February 2004.